This is the home of Falcor, my work companion. This tank has survived for almost 2 years. My elephant ear betta seems to enjoy it as much as can be expected. So I was in Ross browsing for some glassware, and stumbled by a spherical decorative bowl with a flat bottom. It was classic fish bowl status. And I had to have it. Probably cost my less than $10 for the bowl at Ross. 1. Wash the bowl with mild soap solution. 2. Add the gravel and Give it a good wash and rinse with tap water. 3. Fill with tap water and add your water conditioner. 5. Insert betta and give him a day to settle in to the new habitat. I do a weekly flush. Where I put Falcor and his plants in a separate container and give a good rinse and scrub inside. Rhis is done by adding enough water to cover the gravel, and swirling the tank to get a vortex of gravel water solution to scrub the inner walls for me. This breaks loose any algae on the inner walls and brings the waste to rest on top f the gravel for easy removal with a turkey Baster or just simply pouring out into the sink. Careful to keep your gravel in the tank! Really need to make sure your betta eats everything you feed. Extra food composting into the water will ruin water quality quickly. I feed Falcor daily 4-8 pellets. Excess is removed by hand or turkey Baster. Since this is a workplace tank, Falcor fasts for the weekends. 2 years strong and he has managed a 4 day fast at longest. I do not suggest more then 4 days without feeding. Betta fish are social creatures, and love Attention. Keep him in a place where he sees you arrive, and has activity to get excited by during the day. Falcor here enjoys daily visits from co-workers and my occasional finger being ran across the glass for him to chase. Is your betta very lethargic?? He may be too cold. Either find a warmer spot or give him a heating pad like this. Is there algae growing everywhere?! This is likely too much light. Try finding a less brightly lit space for your companions home. Issue to answer, but first before anything do a water change. Likely the water quality has degraded and he is being stressed by his water quality. Secondly is the water cold? Lethargic and cold fish eat much less than their properly climate controlled counterparts. White spots on the fins of your betta?? This is ick. 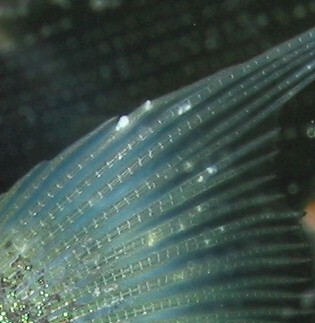 It shows on the fins of your fish as tiny white spots. Treat it according to the label of the medicinal product purchased from your local fish store. Tell them your fish has ick and they will know what you need. It's common and easily treated. listen. ..I think that everyone is getting way bent out of shape here .Bettas in the wild live in murky mud puddles. they survive just fine. If isolated with other fish, they will kill them. They wait until the next rainy season when the floods join the puddles and fish back together for mating season. they are used to not eating for long periods of time. if you give your betta lots of attention and a treat of dried or frozen shrimp now and then, he could actually have a better life than if he had been born in the wild. and for those of you who say store Bettas are not bred for conditions like this, well, instinct is hard to kill. Besides, what are we doing buying fish for pets anyway? Saving them from being killed by nobody buying them. Actually, we shouldn't be supporting the industry at all., but I don't know how many times I have bought a betta just because I couldn't bare to see it continue to live in the back shelf in a pet store. Key part here- They wait until the next rainy season when the floods join the puddles and fish back together for mating season. Bettas can NOT. I REPEAT. NOT. Live in such small spaces. I personally reccomend at least 5 gallons for a Betta. If you want more than one Betta, a 30 gallon might be able to house 3 females. Dirty water and muddy water are different. also buying a pet from a petstore isn't solving a problem it's still supporting the business. Ok, what we are told are 'puddles', are not puddles as we know them. They are used to a big area. Hardy and 'happy' are not the same. The RSPCA states that a Betta in this size container is cruelty. This is not 'to each his own'. It is officially animal cruelty. And this does mean we "projecting to much love onto a fish". It means we have the facts and dont like to see animal cruelty. He needs a minimum of 10 gallons. I have a "large" fish bowl similar to yours. 2.5 gallons maximum. Even with weekly thorough cleaning it's not big enough. Your fish is surviving, but not flourishing. Even dogs can survive chained to a post their entire lives. But it's not a good life for a dog. Take your fish home and give him a 10 gallon tank. You will see a big improvement in his behavior. Bettas need a heater and a low flow filter and a bowl doesn't give them the right circulation. Please buy a different tank and do your research. you have great instructions and betas are extremely hardy by the way and despite what people, may think, betas have a vast range of habitat they are only in rice fields or puddles(in rice fields) for less that three months out of the year then when the rains come back they are literally carried back to the pawns and swamps they breed in this is what makes them so hardy, is that they are biologically programed to live in vastly different habitats. my two are healthy and full of life and I have had them in gallon pickle jars for years with some Java moss and river stones. and soon they will be in a heated tank (with divider) to boost their metabolism and bring out there highlights. warm watter will do wonders by the way to bring out your fishes highlights. but having a Betta in a small environment is just fine and will not effect the over all health of your fish. think of Betta's biology as a tool that helps the fish quickly adapt to rapped change the fishes habitat. we love our pets and it normal to be concerned for the well being of something that is depended on you but sometimes people tend to project their love just a little to much on to a fish I have been guilty of this my self, also please know that I have over 25 years of experience with tropical fish, amphibians and reptiles. I have raised abandoned Betta fry successfully to a healthy adulthood several times( I even still have one of the little fellas) sorry if I come off like I'm bragging, but I'm just sharing my knowledge. There are a few things that are wrong with this. First, please don't ever wash out a tank or any other tank decoration with soap, it it toxic to fish and can make them very ill or even die. Second, a betta needs at least a 3 gallon and it is highly recommended that one uses a 5 gallon or higher. Thirdly, bettas need a filter and a heater, they are tropical fish that like warm water (between 78 and 80 degrees Fahrenheit or 25.5 and 26.5 degrees Celsius) and if you don't want to do a water change every day, you're going to need a filter. Lastly that fish it sick, bettas tend to have bright colors and obviously this one does not (and elephant ear bettas have very long flowy tails). Bettas turn a lighter color when sick and I bet if this fish had the proper care it deserves, it would be all of lively colors (or maybe a whole different set of ones.) If you are going to have a pet, take care of it by doing your research simple pets (such as bettas) need tons of care and are very often neglected. I'm not trying to start a fight, I'm only trying to help, as a owner of many beautiful bettas I hate to see them being treated so badly. Just because an animal can survive harsh conditions doesnt mean they should live in them. The bowl is way too small. It's not like the Betta can complain to you... or even know what it's like to be able to actually swim. It's certainly not a, "To each his own" sentiment... it's imagining yourself living in a little bathroom for the remainder of your life. Just because a Betta is a labyrinth fish is no reason to punish it with that level of confinement. There are other labyrinth fish, but none that are as restricted and marketed as the Betta is. I would like to mention one of the most important things - fish bowl even if it says that it's for fish it isn't. It's not supposed to be a fish tank. To each their own. This guy was quite happy with bi-weekly water changes and plenty of attention on my desk. Seems what works for some does not work for all. But know that with perseverance and knowledge to guide you anything is possible. *Other bettas don't count as compatible since males will fight each other to the death, hence their other name of "Siamese fighting fish"; males might even fight with some females, and females might even fight each other; basically, keep one betta with other non-bettas, but make sure that they are compatible with each other. Do a search online for fish that are compatible with bettas. 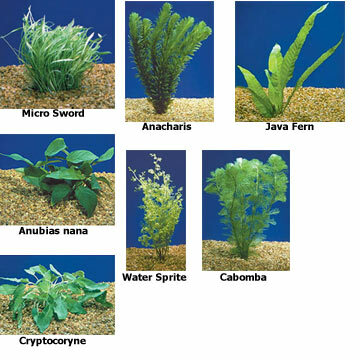 Betta's dont need lot of water like much aquatic lifeforms. There is wiki page which explains in details. But i agree and i feel very sad when any fish is put in bowls and small tanks even though they might live healthy. my experiences with Betta fish is that they do not play nicely with other fish. i have had one terrorize a team of guppies until death. I refuse to put a trained killer in a room with creatures unable to defend themselves. Beta's fins looks nibbled with loss of color. Either its not in great water condition or less nutrition. he had a fin issue when i got him from pet store. the blue edging on his fins is the new growth over the past few years. Aww it's our office mate!